Companies, just like individuals, often look for causes that have the most impact and seem the most worthy of their dollars – and their time. A new survey has good news for nonprofits and others who depend on philanthropy in Central Texas: Most area companies have giving budgets, and those budgets increased over the past year. This and other key insights on corporate giving in Central Texas are presented in the 2016 Rodman Report, available for viewing online at RodmanReport.com. This is the second year that Austin-based Rodman & Associates has conducted the survey, the only study of its kind providing corporate philanthropy statistics specific to Austin and the surrounding area. Volunteering is key. The report found that companies are doing more to encourage volunteering among their employees. 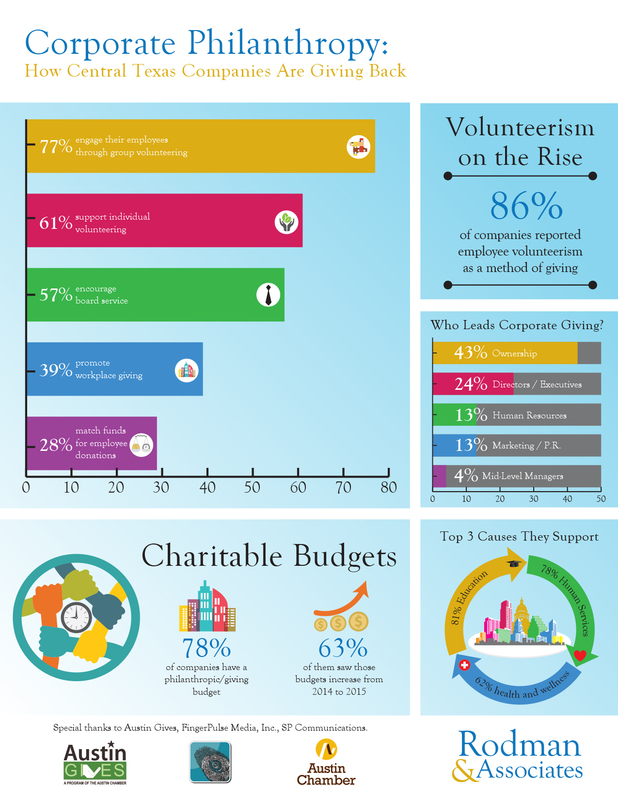 This year, 86 percent of companies reported volunteer hours as one of their methods of giving, compared to 66 percent in the 2015 survey. More than three-quarters (77 percent) of companies surveyed engage their employees through group volunteering. “Companies that take advantage of this method of giving find that group volunteering is a great way to engage employees, providing a team-building activity that increases morale,” said Lisa Rodman, founder and principal of Rodman & Associates. Tone at the top guides giving. Philanthropic/giving efforts are spearheaded by ownership (43 percent) or directors/executives (24 percent), followed by human resources (13 percent), marketing/public relations (also 13 percent) or mid-level managers (4 percent). “This is an important finding for nonprofits and other fundraising groups as it clarifies who the corporate gatekeepers are for philanthropic/giving decisions,” Rodman said. Certain causes generate the most support. Like last year, the types of organizations that companies were most likely to support are those involved in education (81 percent), human services (78 percent) and health and wellness (62) percent. “Companies, just like individuals, often look for causes that have the most impact and seem the most worthy of their dollars – and their time,” Rodman said. Rodman noted that the information gathered through the survey can have a future impact on philanthropy in Austin and Central Texas. “It is my personal hope that city and county leaders will use this information to apply for matching dollars and to effect social change through corporate community partnerships,” Rodman said. The results are drawn from the survey responses of 120 Central Texas companies who participated online between February 10 and March 8, 2016. The Rodman Report is available at RodmanReport.com. 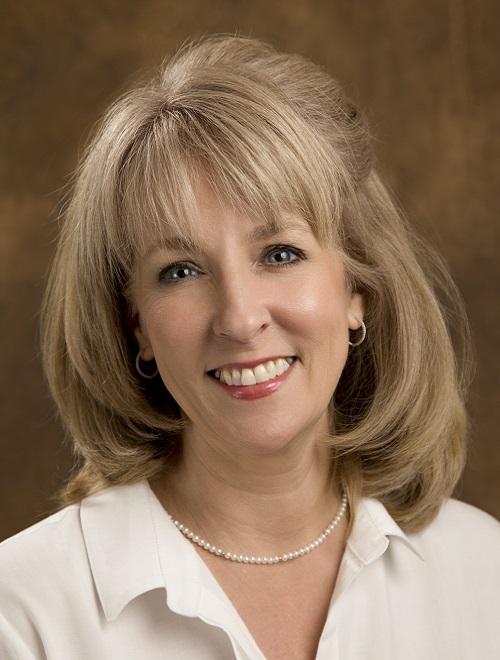 Rodman & Associates was founded by Lisa Rodman, a 20-year veteran of the nonprofit arena. She advises and supports individuals, businesses and foundations on philanthropic initiatives and partnerships. For more information, visit RodmanAssociates.com.